Easter morning 2009. The worship team at Family Life Church in Newberg, Oregon, was doing a last run-through before the service. Fifty-three-year-old worship leader and guitar player, Stephen said he wasn’t feeling well. Then moments later, Stephen collapsed. Someone called 911 as Kathy and others ran to his side. By the time the rescue squad arrived, Stephen was drifting in and out of consciousness. They took him to Providence Newberg Medical Center, where he was put on life support. Kathy, along with the pastor’s wife, arrived moments later. Not only had Stephen suffered a massive stroke, spinal fluid was leaking into his skull, adding pressure to his brain. It was a deadly combination. 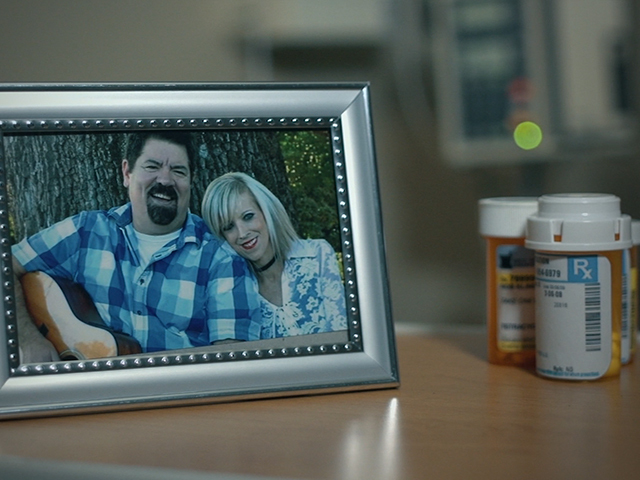 Years before, Kathy had lost her first husband to cancer. Once stabilized, Stephen was taken to St. Vincent Medical Center in nearby Portland. Doctors inserted a shunt to help drain the spinal fluid off the brain. Kathy was told the first hours were critical. But the odds were not in his favor. After 24 hours, Stephen was still alive but in a coma. Doctors told Kathy they didn’t know whether or not he would ever wake up. Even if he did, he’d likely need nursing care the rest of his life. Kathy would have to cling to that hope. Kathy rarely left her husband’s side, playing recorded scripture and praise music around the clock. Then finally after six weeks, Stephen began to show signs that he was conscious. Stephen would spend another six weeks in rehab, before he finally went home. It took over a year, but Stephen completely recovered from his stroke. Today he’s back to leading church worship and playing his guitar.